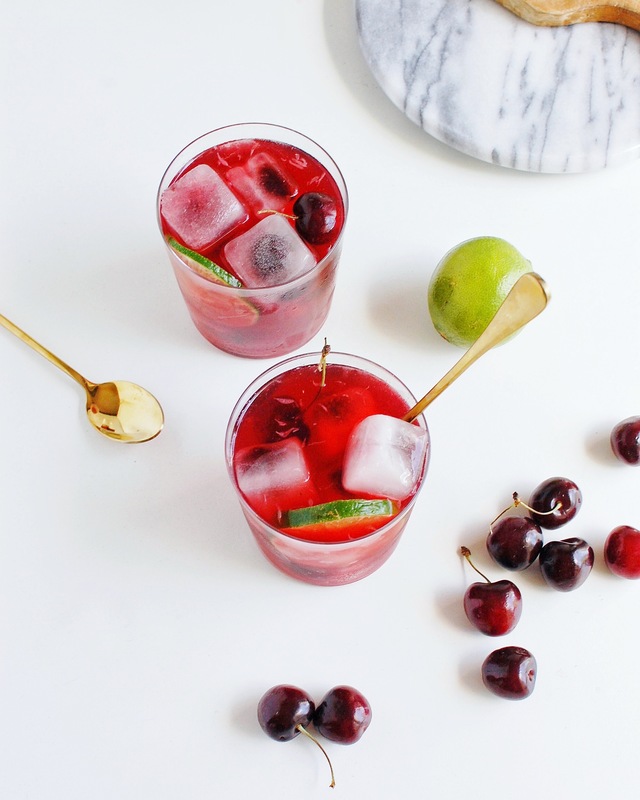 A Cherry Limeade is basically the epitome of a refreshing summer drink! It’s sweet, tart, cold, and loaded with antioxidants to keep you energized and healthy in the heat. This drink takes me all the way back to high school and the Sonic drive in. My friend and I used to leave class to get cherry limeades. Don’t worry, we would leave during our lunch or study hall, which was still not allowed, but we turned out okay. Our school tried to crack down on people leaving, so they had a ‘Jack in the Box.’ It was literally a box in the parking lot that this guy named Jack sat in. We would tell Jack that I had low blood sugar and that we really needed to go get some food… true rebels with a cause. Then we would blast the AC, some T-Pain, and head to Sonic for the beloved Cherry Limeade. T-Pain was definitely a must on most car rides… whatever happened to him? T-Pain, if you are reading this, bring us some new music bro! 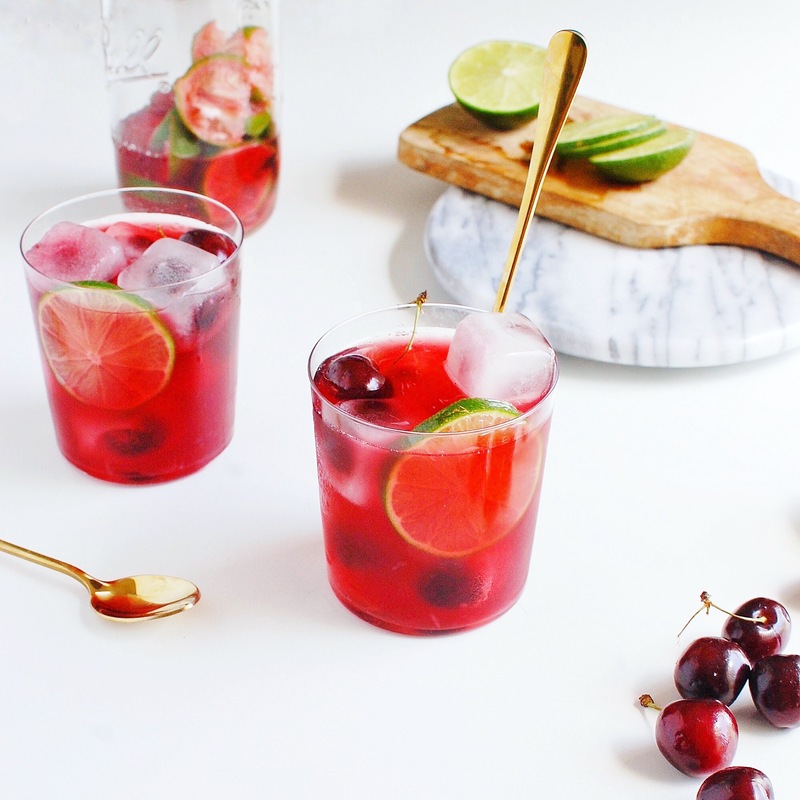 Anyways, this recipe is delicious and way better for you than Sonic’s cherry limeade. In fact, I consider this cherry limeade a health tonic due to all the beneficial ingredients it contains. If only we had a special machine to make those fluffy little ice balls…you guys know what type of ice I’m talking about, right? I really have no other way to explain them, but they are THE BEST, so Sonic…I’ll give that one to you. 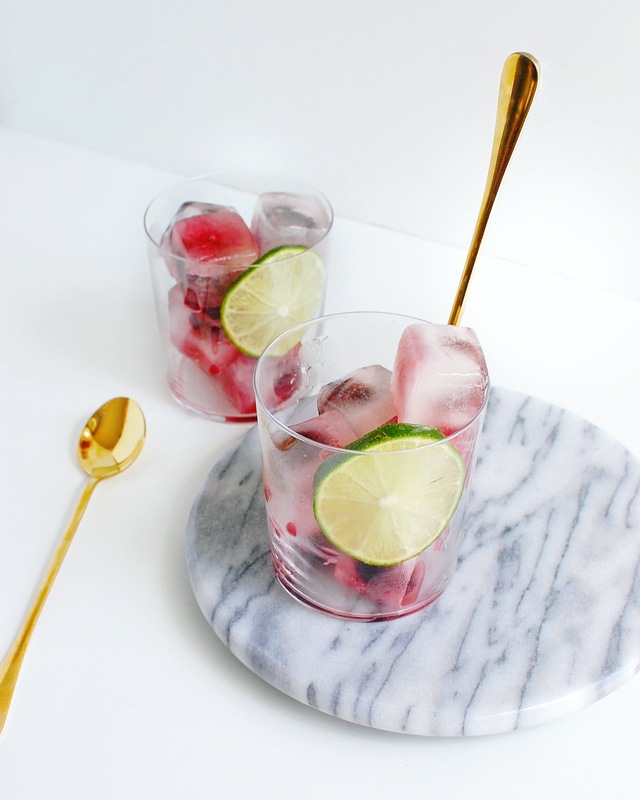 However, since most of us do not have the capability of making those amazing ice balls, you can use regular ice or make this super cute cherry ice like I did. 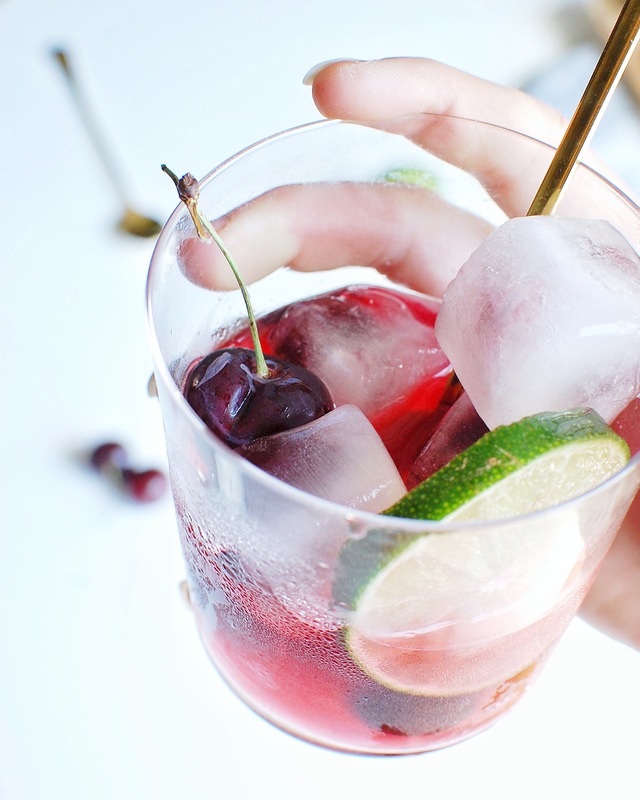 All I did was place a cherry in an ice mold and pour water into the molds, stick it in the freezer, and voila…cherry ice cubes! This will probably have to freeze over night. 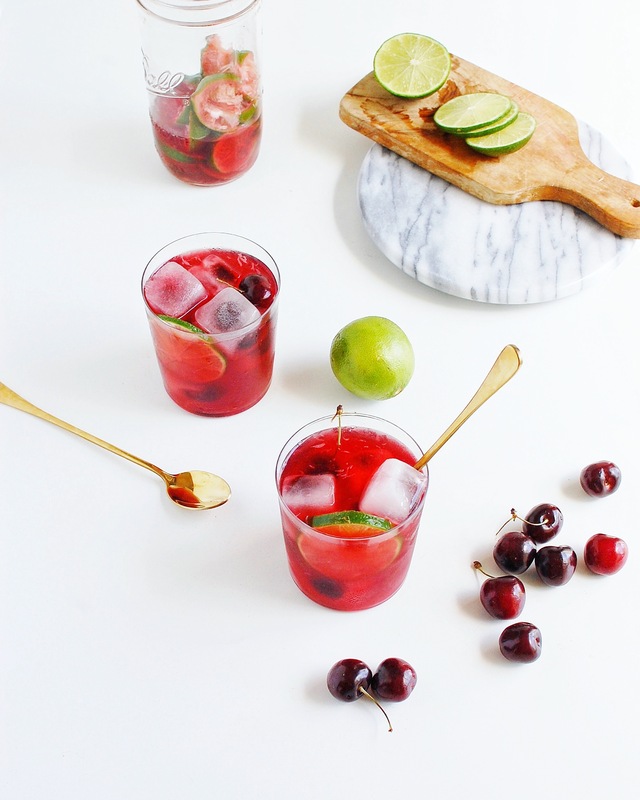 As I stated above, this Cherry Limeade recipe is loaded with beneficial ingredients like lime and tart cherry juice. 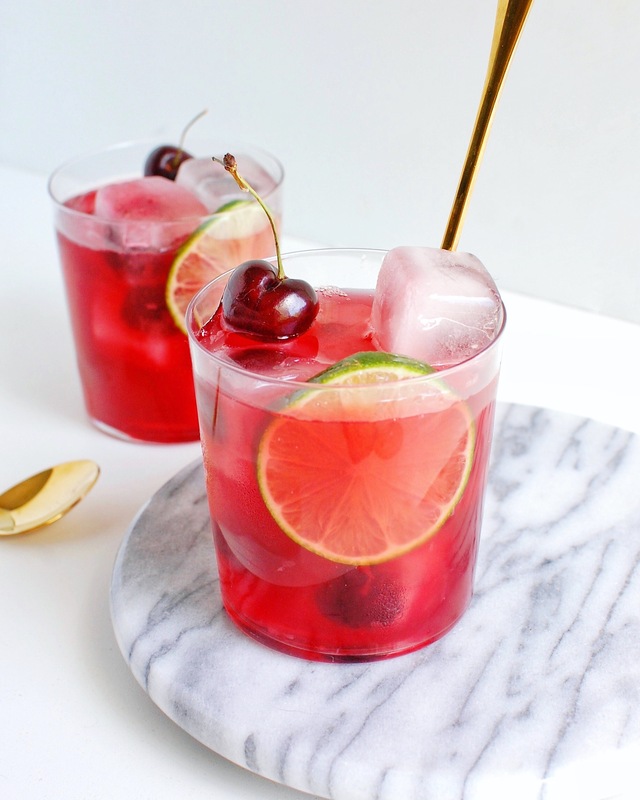 Tart cherry juice is loaded with antioxidants, fiber, and vitamin C. It has been shown to reduce inflammation, help you sleep, boost heart health, promote weight loss, and even treat gout! 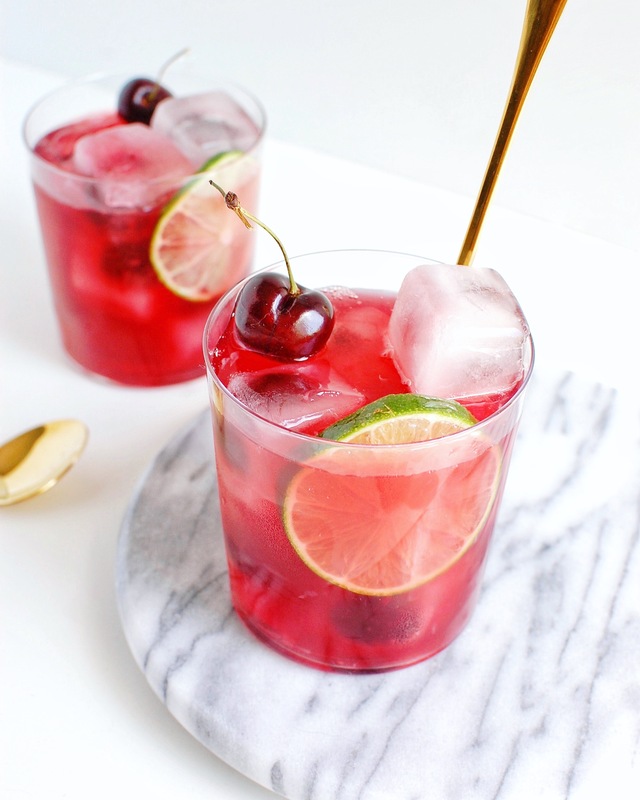 One of the reasons that I love tart cherry is the detoxification effects and ability to promote the bodies production of glutathione, the most important antioxidant in our bodies! Lime juice is also very high in vitamin C and other antioxidants, promotes weight loss, and is helpful in preventing and treating scurvy. Plus, in Ayurveda, lime is considered to have cooling properties, so it is a great fruit to consume during warmer months! Cut lime into 4 pieces, squeeze the juice into a mason jar, and place the pit in the jar as well. Put 1 Tbsp of tart cherry juice into the mason jar with the lime. Pour water (sparkling, flat, or zevia) into the mixture. If you desire, add a sweetener such as honey or stevia. Then, put a lid on the jar and shake like crazy. This allows some of the lime pulp to get into the drink. If you don't like pulp, strain it afterwards. Pour your drink over ice and enjoy! 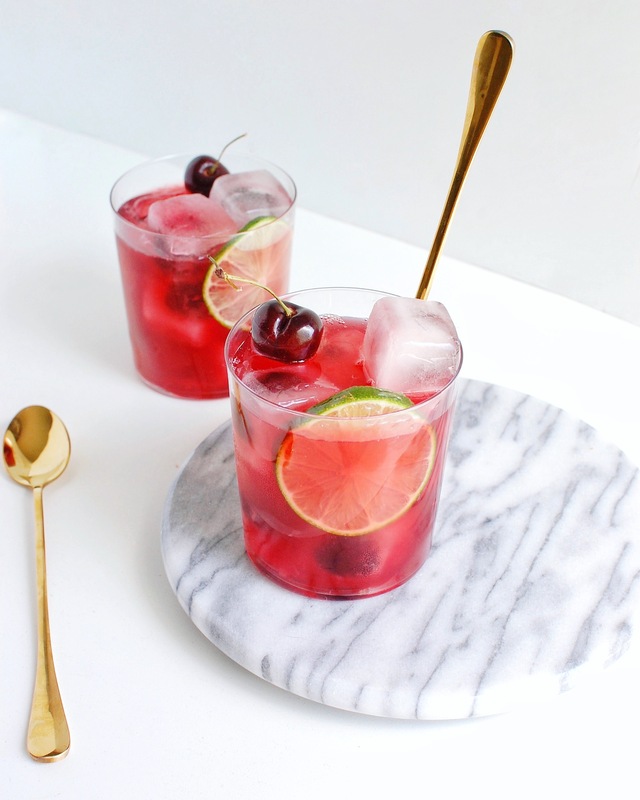 Want to make a cocktail? Add some gin or vodka! 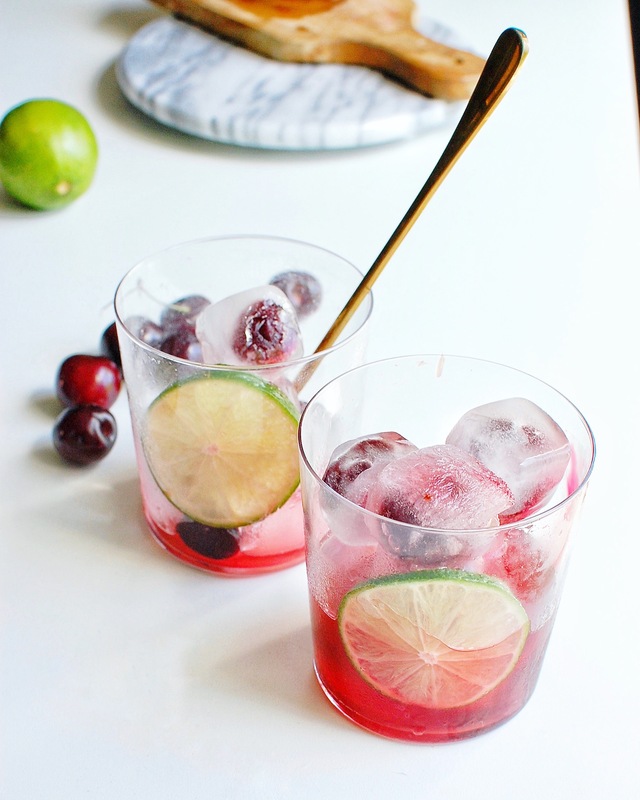 Looking for more refreshing summer drinks? 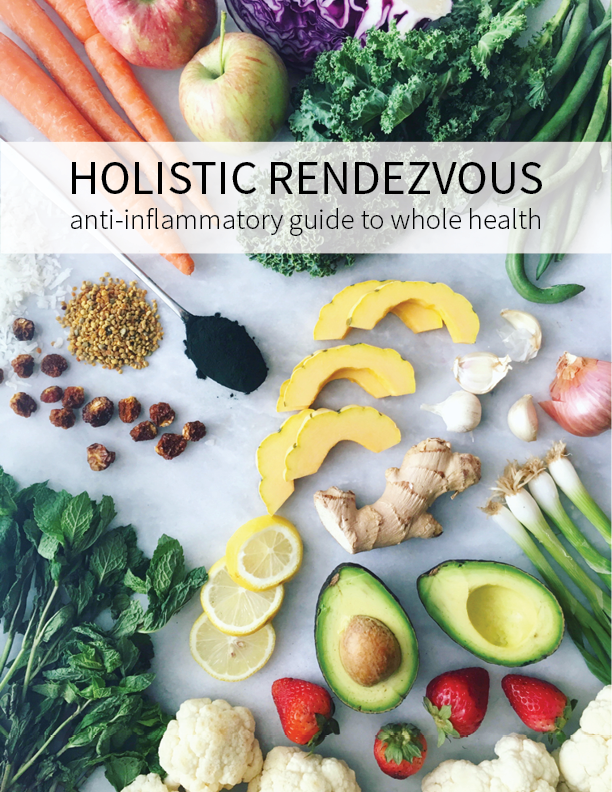 Try this lemonade concentrate and/or adrenal creamsicle!